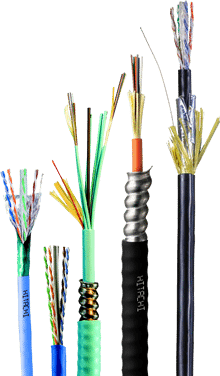 Hitachi Cabling | Core Technologies, Inc. Since 1986, Hitachi Cable has been developing technologically advanced copper and fiber optic communication cables. Their dedication to engineering perfection is evident in the consistent quality and performance of all the cable products they manufacture. Through the development of high-performance cable products, such as the world’s first UL verified 10-gigabit Ethernet Category 6A cable, Hitachi Cable has established itself as a leader in the industry. The cable we provide is the result of Hitachi Cable’s relentless desire to manufacture the finest communication cables in the world. After using our products, we are confident you will agree. 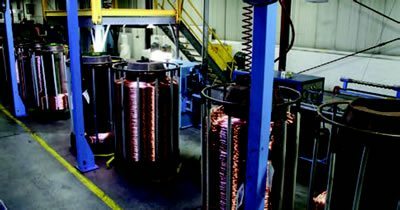 The Manchester, NH facility is one of a handful of cable manufacturing facilities in the U.S. that performs on-site drawing of copper. When drawing copper, Hitachi Cable starts with 13 AWG solid copper conductor on custom built deploying devices, called Stems. 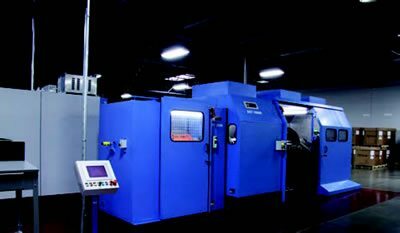 The copper is pulled into the drawing mills where it is reduced to the appropriate size, conditioned in what is called the annealing process, then insulated with the appropriate insulation. Drawing our own copper allows us to better control the performance of the primary conductors and maximize overall cable performance. Hitachi Cable America (Hitachi Cable) never stops innovating. Whether it’s installing the very latest in cable twist technology, or designing and building custom equipment for a one-of-a-kind cable, Hitachi Cable has the resources to maintain a technological edge over the competition. Our in-house staff of electrical engineers keep the pipeline full with new cable designs. With new equipment frequently being installed, we can confidently satisfy increasing customer demand. When it comes to the performance of our products, Hitachi doesn’t just evaluate the cable, we also evaluate the package from which it is dispensed. Hitachi’s easy-payout boxes for Category 5e and Category 6 cables consistently receive positive reviews from distributors and installers. Designed with direct input from users, our boxes feature dual reinforced handles, vibrant, easy-to-read graphics and have proven to be as durable as the cable they contain. 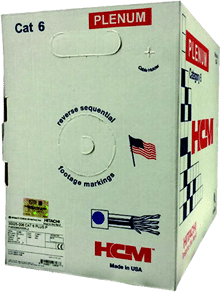 The boxes also have a product specific conduit fill chart printed right on the back of the box. When it comes to reels, we only use the best sanded wooden reels and durable thick-gauge plastic reels. When transporting large reels, we go to great lengths to ensure our product arrives safely. We don’t cut corners when it comes to packaging and it shows. 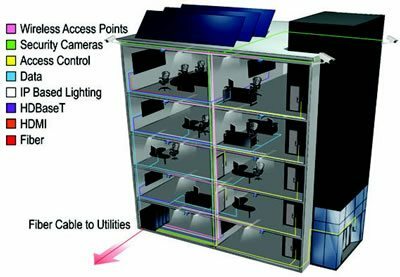 Open System Architecture (OSA) from Hitachi Cable America (Hitachi) provides world class performance using virtually any combination of Hitachi verified cables with verified connective hardware in the design of the network. The ANSI/TIA-568-C.1 standard specifies the performance requirements of all network components and defines interoperability base-line limits to ensure that combinations of cable with connectivity will meet or exceed the system’s intended application. By employing a Hitachi OSA solution, end users have the freedom to choose from a wide range of quality connectivity products that best meet their specific needs and be confident that the chosen solution will support all applications designed to operate over that solution and be backed by an industry-leading lifetime warranty*. 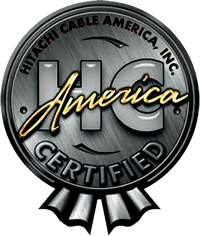 Hitachi Cable is pleased to offer a lifetime warranty on certified installations. The lifetime warranty, which is only available through Hitachi Cable Certified Installers and directly backed by Hitachi Cable, offers a product performance and application assurance warranty. This means that we guarantee that the solution will pass the appropriate category test for the life of the network as well as support all applications designed to operate over that solution. The warranty covers both the cables and all the connective hardware directly attached to the Hitachi cables. It also includes any labor that could be associated with a warranty claim. Only a manufacturer with exceptional confidence in their products would offer a warranty like this.